Planet Sushi, 42 Boulevard Jean Jaurès, is a chain many will be familiar with at home. It’s one of several dotted over the city and aims to bring the ambiance of a classic Japanese restaurant into the heart of Nice. The restaurant is large and brightly decorated – a modern day diner – and has a large menu to boot. There’s some vegetarian options and offers various types of Japanese food such as ramen soups and salads. There is a kid’s menu for children who may be a little picky, and of course they’ll enjoy choosing off the sushi train. They are open 11:30am-22:30pm daily. 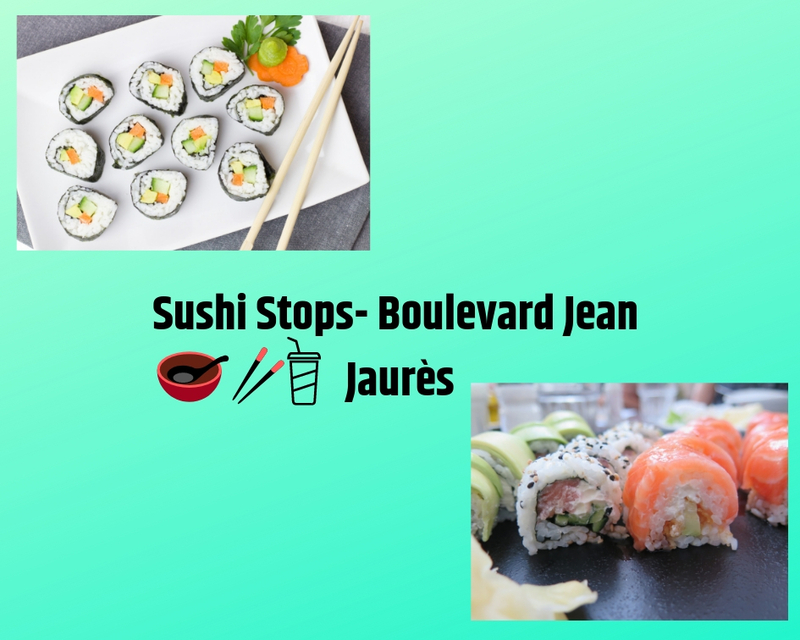 For a slightly smaller place, often less busy, and with a smaller menu, head further down at 26 boulevard Jean Jaurès, you’ll will find Sushi Lune, open from 12pm-22:30pm daily (except Wednesdays). A traditional Japanese restaurant, focusing on just sushi, each sushi roll has a different flavour to the next and is delicately shaped into some impressive art such as avocado tulips. The chef prides himself on the fresh fish used and the flavours packed into each tiny dish. This place is popular for take-away. If you’re looking for something higher-end and intimate, then make your way down to 8 Boulevard Jean Jaurès to a small family owned restaurant called Le Kobé. Opening its doors in 2017, it’s quickly become known as a friendly, tasty and well-kept gem of a place. It fuses together Japanese and Cambodian food; something quite unique. One of their most popular dishes is the dragon-roll. They offer original recipes all made from fresh produce with an outstanding presentation. Although a tad more expensive, it’s definitely great value for money as the offerings are a cut above. The restaurant is open from 11am-23:00pm each day.